I’ve seen a lot of gigs in London pubs this year; in basements, back rooms and upstairs rooms. I’ve seen indie bands, electronic bands and Americana artists, but I haven’t been to a gig that was as much fun as Dean Owens supported by Drumfire Records latest signing, Ags Connolly, at The Cabbage Patch in Twickenham. If you pay any attention at all to MusicRiot (or even Ricky Ross or Bob Harris), you’ll know that we’re all big Dean Owens fans; he’s always a great live performer and The Cabbage Patch is a lovely venue for an intimate acoustic performance. Ags Connolly’s opening set featured songs from his upcoming country and Americana-tinged debut album (produced by Dean Owens) on Drumfire Records and was well received by the enthusiastic and knowledgeable audience, setting things up very nicely for the headline act. I’ve seen arena gigs and festivals this year, but I haven’t experienced an atmosphere as warm as this one. Dean’s current mini tour is still under the “Cash Back” banner and is partly in support of his current single from “Cash Back”, “I Still Miss Someone” but, from the beginning of the set, it’s obvious that this is about giving the audience what they want, rather than sticking to a rigid set list. What we actually get is a mix of songs from Dean’s three latest albums, “Cash Back”, “New York Hummingbird” and “Whisky Hearts” (and that’s a pretty impressive set of songs to choose from) and a few surprises. Dean’s a very relaxed and accomplished performer, full of self-deprecatory chat and dry Scottish humour between songs. From the start of the set Dean lets the audience know that requests are very welcome and the audience can play their part in the performance. At various times during the set we hear “Whisky Hearts”, “Man from Leith” and “Raining in Glasgow” from “Whisky Hearts”, “Lost Time”, “Little Baby Fireworks” and “Desert Star” from “New York Hummingbird” and “I Still Miss Someone”, “Delia’s Gone”, “Cocaine Carolina” and the self-penned “The Night Johnny Cash played San Quentin” from “Cash Back”. They’re all stripped-down versions relying on guitar, vocal, harmonica, whistling and a few other vocal tricks, but it’s a mark of the quality of the songwriting that they all work perfectly with the minimalist approach. There’s also an interesting selection of other people’s songs including “Teenage Kicks” (which Dean played live and acoustic during an interview on an Australian radio station just as the news of John Peel’s untimely death broke), Springsteen’s “I’m on Fire” and the totally unexpected “Heart of Glass” (yes, that “Heart of Glass”). The evening had everything you could ask for from a gig, great songs, great performances (from Ags and Dean) and an audience that actually wanted to see and hear the performers. There’s a lot that’s wrong with the live scene in London at the moment (pay-to-play and play for exposure, for example) but when you see a gig like this, you think there just might be some hope. When everyone plays their part (the performers, the promoters, the venue and the audience) as they did at The Cabbage Patch it can be a truly uplifting experience. Thanks everyone. 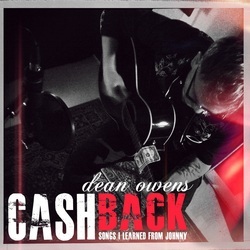 Last year I reviewed an album by Edinburgh-based singer-songwriter Dean Owens called “Cash Back” which was a tribute to the late Johnny Cash. 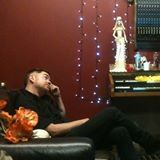 The album was a set of covers of songs made famous by Johnny Cash apart from one, “The Night Johnny Cash Played San Quentin”, which is a Dean Owens original and was recently released as a single on Drumfire Records. Although the song’s part of a great set of songs written by Johnny Cash and other songwriters, it doesn’t sound out of place at all. It’s based around one of the classic country themes of the prisoner serving his sentence (on death row this time) but with the added twist that he’s in San Quentin at the time of the legendary Johnny Cash performance. The song moves between verses telling the prisoner’s story and a chorus using details from the actual San Quentin performance, which adds historical authenticity to the story. The instrumentation and production give the song an authentic early-period Johnny Cash feel with Dean’s acoustic rhythm guitar and Will Kimbrough’s electric guitar and slightly distorted slide guitar; it could have been made at Sun Studios in the ‘50s. 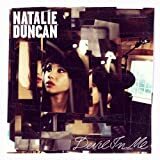 This is a beautifully constructed song with a sparse but effective arrangement which highlights the quality of the song and the powerful, emotive vocal performance. It’s as good as any of the classic songs on the album and it’s the best single I’ve heard so far this year. Even if you’re not a fan of country, you really should give this a listen; you could even buy it. 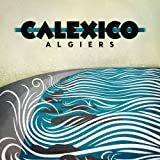 Calexico are from Tuscon, Arizona and released their seventh album “Algiers” in September 2012. 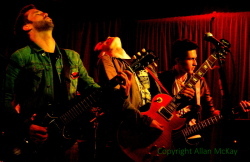 The band moved away from their Tex-Mex roots to incorporate some New Orleans influences for this album which has been described as their most accessible and exciting record so far. 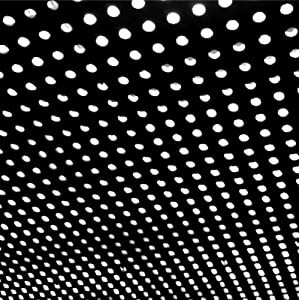 “Bloom”, the fourth album from Baltimore-based Alex Scally and Victoria Legrand (who formed Beach House in 2004) was released in May 2012 on Sub Pop. 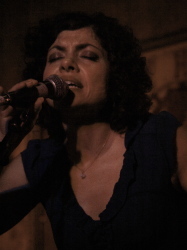 2 songs from the album, “Myth” and “Lazuli” were also released as singles. Released in May 2012, “Fear Fun” is the first album Joshua Tillman (former drummer with several indie bands, including Fleet Foxes) has released under the name of Father John Misty. 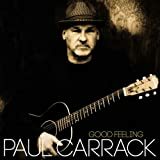 Interesting fact for you; most of the development of the songs was done in Laurel Canyon, which was the home of the early 70s California singer-songwriter scene which launched the careers of Neil Young, The Eagles, Jackson Browne and many others. 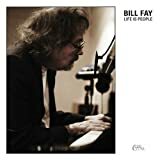 “Life is People” was released almost 50 years after Bill Fay’s first 2 albums in the early 70s. At that time he attracted comparisons with Ray Davies, John Lennon and Gary Brooker but lost his contract after 2 albums. 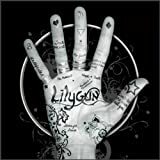 He has been name-checked as an influence by many performers, including Nick Cave and this album has been acclaimed as his masterpiece by many critics. 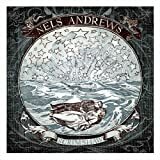 “Scrimshaw” is Nels Andrews’ third album. 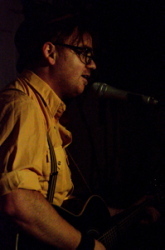 He’s attracted loads of praise and songwriting awards and is based in Brooklyn. His first album reached No. 1 on the US Americana chart in 2005 and he’s now starting to attract attention in Europe as well. Dean also gave honourable mentions to John Hiatt, Richard Hawley and Jack White. 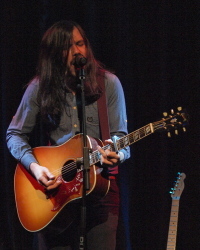 He’ll be touring in Spring 2013 and you can get the dates here on MusicRiot. Thanks very much Dean for sharing your choices with us. 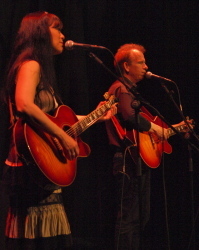 “Cash Back” is the second album to be released by Dean Owens in 2012, following “New York Hummingbird” earlier in the year and it’s built around a really interesting idea; a tribute to Johnny Cash on what would have been his 80th birthday comprising songs written by, or covered by, Johnny (with one very notable exception). It’s also a tribute to Dean’s good friend and mentor, the late Bob Delacy. 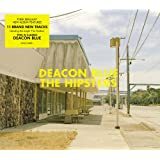 The concept’s great, but the finished article is even better; Dean has tackled songs written by some songwriting legends including Jagger and Richards, Bob Dylan (“Girl from the North Country”), Kris Kristofferson (“Sunday Morning Coming Down”), Johnny Cash himself and our old Riot Towers favourite Nick Lowe (“Without Love”) and the result is a well-rounded, beautifully played and engaging set of songs. The playing throughout the album is beautiful, particularly Will Kimbrough’s guitar (and various other instruments) and supports Dean’s plaintive tenor voice perfectly. It’s difficult to pick out highlights from this set because there isn’t any padding, but I’ll give it a try. The album opens with the lively 1968 Jagger/Richards song “No Expectations” featuring some great playing throughout from Will Kimbrough and has a similar feel to Albert Lee’s “Country Boy” (but a bit slower) before moving in to the more laid-back “A Little at a Time”(which also appears later in a stripped-down bonus version). The album as a whole is a demonstration of the variety in Johnny Cash’s work, but never more so than in following the heartbreaking, poignant “Give My Love to Rose” with the jaunty nastiness and casual violence of “Delia’s Gone”. Well, this is the man who sang “I shot a man in Reno just to watch him die”. 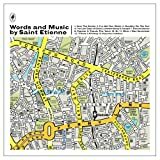 The traditional ballad, “Wayfaring Stranger” moves the tempo up a few notches from the Cash version and you realise that Paul Weller probably started “Wild Wood” from the same source. Towards the end of the album, there’s a sequence of songs by truly great songwriters such as Nick Lowe, Bob Dylan, Kris Kristofferson and David Allan Coe (who wrote the Johnny Paycheck classic ”Take This Job and Shove It”) which almost bring the album to a close. The first bonus track is a version of “I Walk the Line” which contrasts the original’s baritone growl with Dean’s more vulnerable tenor as the song bounces along for the first three verses. To add drama to the fourth verse, you might expect a trucker’s gear change or a tempo shift but instead Dean shifts the vocal up an octave towards the top of his range for an even more dramatic effect. Which leaves one song to tell you about. As a songwriter, Dean was always going to want one of his own songs on the album and it’s fair to say that it’s a belter. “The Night Johnny Cash Played San Quentin” is as good as anything else on the album, framing the legendary prison appearance within the story of a death row inmate who was at the show and keeps it as a memory he treasures above everything else on his way to the chair; Johnny would have been proud of this one. If there’s a country music fan in your life (or someone who likes great music, whatever genre), this album will make a great surprise present for them. Even better, get out and see Dean performing live on his next tour in the spring of 2013; you won’t regret it. “Cash Back” is out now on Drumfire Records (DRMFR013). We’ve got another Riot Squad favourite touring the UK in November to launch his new album, “Cash Back”. Dean Owens is on the road for the first couple of weeks in November and I really recommend that you go out and see him; you won’t regret it. If you’re at the Wilmington Arms show, you might even bump in to the Riot Squad on the town. Tynemouth (near Newcastle) House Concert. Contact Dean for info if you’d like to attend.